Litigation letter of claim – why is it so important? Home » Uncategorized » Litigation letter of claim – why is it so important? For both practical and legal reasons, a letter of claim, sometimes also known as a letter before action or claim letter, is crucial before starting legal proceedings. This is not least correct in the sense that a badly drafted or incorrect factual letter before action can hugely damage the ultimate prospects of success, whether in a negotiated settlement or final trial. Therefore, it’s good and cost effective practice with any complex claim or a claim with possible significant value, to invest in getting legal advice and help with a letter before action. At Darlingtons, we have a highly experienced, practical and cost effective litigation lawyer team – get in contact to discuss your situation, how we can help and what it might cost. Court proceedings, whether lawyers are instructed or otherwise, involve cost and risk. Court fees must be paid, which are increasingly expensive and if you start a claim and then decide to abandon it, you may well face the prospect of having to pay the defendant’s legal fees. A letter before action in many cases, if well written, will lead to the other party quickly understanding that you are serious in taking action and lead to a resolution without going to court. So, a well worded claim letter is extremely important. The Court Rules for civil claims, known as the Civil Procedure Rules (CPR) also make it very clear that the court either expects or requires a clear pre-action letter of claim to have been sent before a Claimant starts proceedings. Failure to send such a letter has potential consequence of. Whilst a letter of claim is not a formal court pleading be under no illusions that it is a very important document. This is a primary reason for considering instructing a lawyer to write it for you. inconsistencies between what you say in a letter of claim and any court claim form or witness statements (if the matter proceeds towards trial) will almost certainly be noted by your opponent to undermine your case if possible. What to include in a letter before action? Clearly, it is important to set out in a letter before action the circumstances, from the claimant’s point of view, that he or she complains about. A time limit should also be included for compliance. This will depend perhaps on the Pre-action protocols but otherwise, with the exception of a warning letter before applying for an injunction, it is commonplace to allow the other party a period of at least 14 days for compliance. It may or may not be obvious or necessary to put a legal basis to the points made such as “because of this you have breached clause a.b.c.d of the contract”. If in doubt about this, get legal advice as making an error could be problematic. with a breach of contract scenario, it does not necessarily follow that the aggrieved party has the right to terminate the contract. Instead, it may be necessary to set out in the claim letter the breach and require the party in breach to remedy it within a reasonable timeframe. where documents, information or property have been unlawfully taken or utilised. With this type of claim, care needs to be taken to ensure that the compliance demanded is comprehensive – the other party might have, for example, made copies of documents and a thorough letter of claim should require disclosure as to what copies have been made, where they are or to whom they have been given and requiring that all copies be returned. a cease and desist letter such as where there are allegations of libel. where the letter is sent with a view to mediation or arbitration. The CPR rules make clear that court proceedings should be a last resort and alternative forms of dispute resolution are encouraged. where further information and /or documents are sought from the opponent. As with mediation or arbitration, consideration should be given as to whether such requests are incorporated in a letter of claim or other form of letter. Caution is also advisable because whilst requesting documents might be a sensible approach to narrow issues and potentially help to resolve a dispute, it may appear to be a sign of weakness to the opponent. making any concessions such as “if you pay x I will forego my claim to y”. any threats which could be considered blackmail or other duress such as “unless you pay £x within 7 days I will go to the press”. putting a precise figure on what you claim you are owed unless you are very certain about this and how it is calculated. it is certainly wise to avoid inflating a claim, deliberately or due to ignorance of the rules about mitigation of loss. If in doubt, always err on the side of caution when it comes to putting a figure in with your claim. There is often a reluctance to instruct lawyers to draft the crucial pre-action letter. In my experience, especially with smaller value claims, this is because a prospective client believes that instructing the lawyer means that the client must retain the lawyer for the entire claim, which is not the case. Get in contact with David Rosen if you need advice or a solicitor to write a claim letter, or legal advice on prospects for a legal claim, evidence, tactics before you get your letter before action written. Based in London, David has many years post qualified experience. 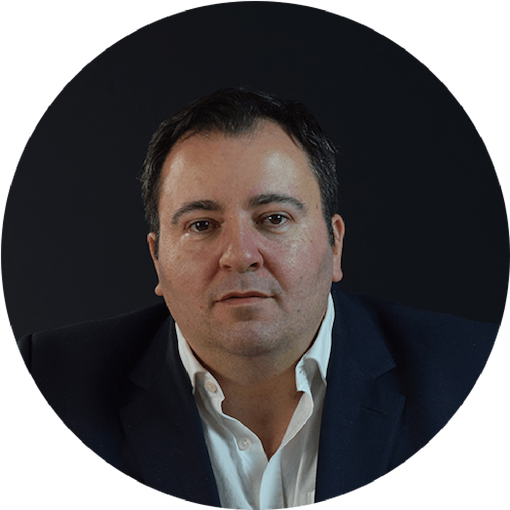 As a litigation solicitor, David understands the risks associated with a legal dispute and always looks for the fastest suitable outcome. Getting a letter before action right maximises those chances. Getting it wrong can be disastrous. Contact David to find out how he can help.